YKKI.com might be pronounced “Yooki” for convenience, and used as a brand; it is easy to remember with its double K. It has hints of eastern cultures, having the Y and K letters that are common to Asian languages and names. 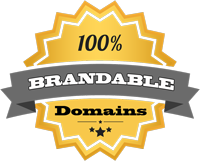 But mostly it’s a neat, concise LLLL domain that any business or individual might take advantage of. It would be excellent for gaming sites, social media, as well as industry, charitable organizations.